British charities will receive a multi-million pound boost with the launch of a new fund to help small and medium-sized organisations make an even bigger difference in the developing world, International Development Secretary Justine Greening has announced. 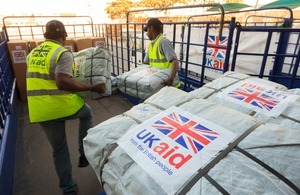 The UK Aid Direct fund will run over five years, with a total of £30 million in new grants available to small and medium charities in the first year. The programme aims to make the most of smaller charities’ grassroots knowledge, local contacts and specialist expertise. Justine Greening launched UK Aid Direct in Cardiff at the first in a series of nationwide ‘DFID Direct’ roadshows aimed at encouraging smaller charities to make the most of funding from the Department for International Development (DFID). The International Development Secretary was joined in Cardiff by 2 small Welsh charities who already receive DFID funding. Interburns is reducing deaths from burn injuries in Bangladesh and Nepal, and PONT is helping children and pregnant women access emergency healthcare in Uganda. I am proud that Britain already supports hundreds of small and medium-sized UK charities whose vital work is improving lives across the world. British expertise is getting children into school, fighting deadly diseases and helping people earn a living in some of the world’s poorest places. The launch of UK Aid Direct means we can work hand in hand with fantastic smaller charities that have a unique ability to identify needs, build relationships and tackle specific issues at a grassroots level. 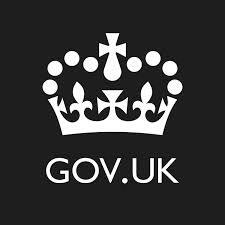 As part of its drive to help smaller charities access DFID funding, the UK Aid Direct application process is designed to support small Non Governmental Organisations (NGOs), with tailored advice and guidance available to those applying for DFID funding for the first time. DFID has also launched a new online ‘funding finder’ tool that will make it even easier for organisations to identify funding opportunities. UK Aid Direct builds on the success and momentum of DFID’s Global Poverty Action Fund (GPAF), which has awarded more than 160 grants over the last 4 years to small and medium British charities working in the developing world. The new UK Aid Direct fund was launched by International Development Secretary Justine Greening at the first DFID Direct roadshow in Cardiff to an audience of Welsh civil society organisations. The event was held at the Welsh Centre for International Affairs in the Temple of Peace on Thursday 11 September from 5:30pm to 7:00pm. The audience also heard from Tom Potokar, Founder of Swansea-based Interburns, and Geoff Lloyd and Jenny Allen from PONT, from Pontypridd, 2 small Welsh charities that have received DFID funding from the Global Poverty Action Fund. Interburns is reducing deaths from burn injuries in Bangladesh and Nepal and PONT is helping children and pregnant women access emergency healthcare in Uganda. DFID’s new funding finder tool is now live and can help small and medium-sized charities identify the best funding opportunity for them. No Comments to "Major new funding boost for small British charities – GOV.UK Press releases"